What scooter/motorcycle have you been riding? When are you available for a free assessment? Compulsory basic training and Theory test must be completed before carrying out the practical Module 1 and 2 tests. 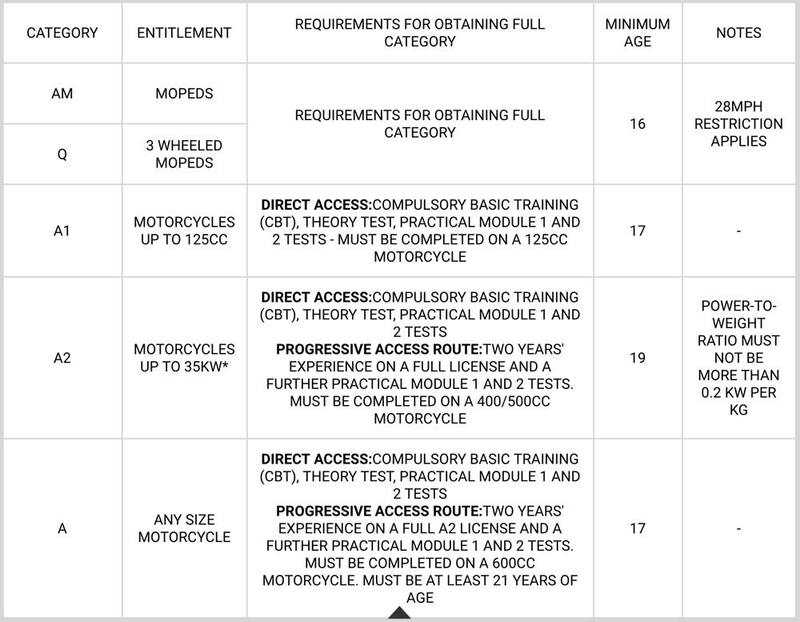 If the rider is successful and manage to get a pass on both tests, they will receive a Full Entitlement of that such category. “I had the pleasure of riding with 3 different instructors during my DAS, Ricky (3 Days), Eugene (1 Day) and Pedro (30 Minute Assessment). All three were brilliant instructors, know exactly what they’re doing, very friendly and pretty entertaining. 25 YEARS OF EXPERIENCE COMMITTED TO MAKING YOUR TIME WITH US SAFE, EDUCATIONAL AND FUN!